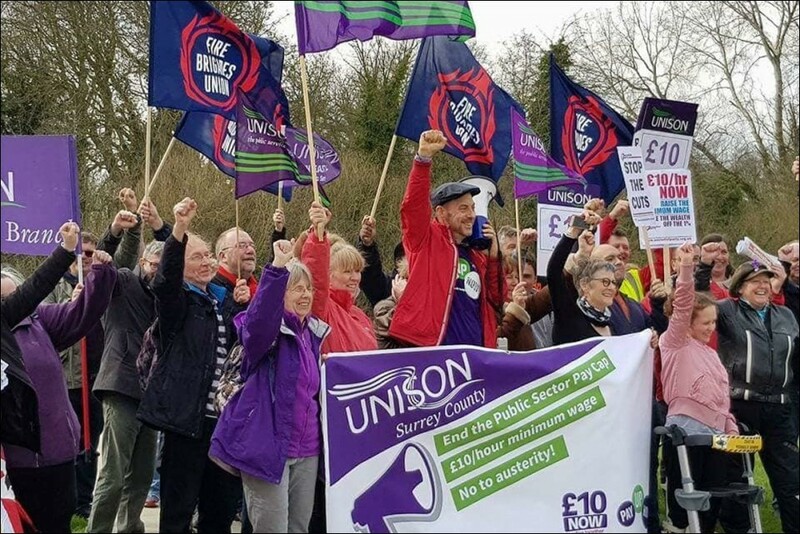 Save Our Services in Surrey, supported by the Surrey Fire Brigades Union, the RMT transport union and public sector union Unison, has called for a major display of public anger against Tory austerity. Already cuts in public services have compromised public safety - fire services have been cut to the bone. Closures of fire stations are still planned. The proposed removal of guards from our trains is yet another example of a callous disregard for public safety. Local health services have been cut. The scale of local authority cuts across all services has already been disastrous yet Surrey County Council are now consulting on millions of pounds of further cuts in children's centres, waste management, libraries, concessionary bus fares and children with special educational needs. If councillors wanted to represent working class people they would be standing up to the government and saying no. But they don't. We cannot take any more cuts. We need a reversal of the cuts and a massive injection of public funding to restore our much-needed public services. We will have speakers at the rally in Jubilee Square from the trade unions involved in organising the event and the independent residents groups. 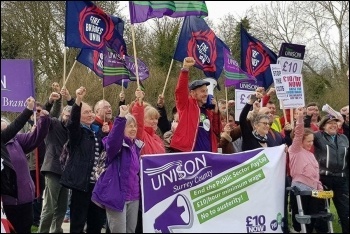 The Socialist Party and Save Our Services in Surrey will call for an immediate general election and an end to austerity. We call on anyone concerned about the state of our public services and who is willing to help fight back against austerity to join us. We will gather outside Woking council offices and march around the mainly pedestrian areas to Jubilee Square for the speeches. Bring home-made banners and placards and be ready to make some noise. Join the protest Saturday 15 December at 11am outside Woking council offices.